2012 recipient of International Electrotechnical Commission Award. PITTSBURGH, PA, August 31, 2012, - High Tech Aid announced today that Steve Halliday was awarded the 2012 IEC 1906 Award. 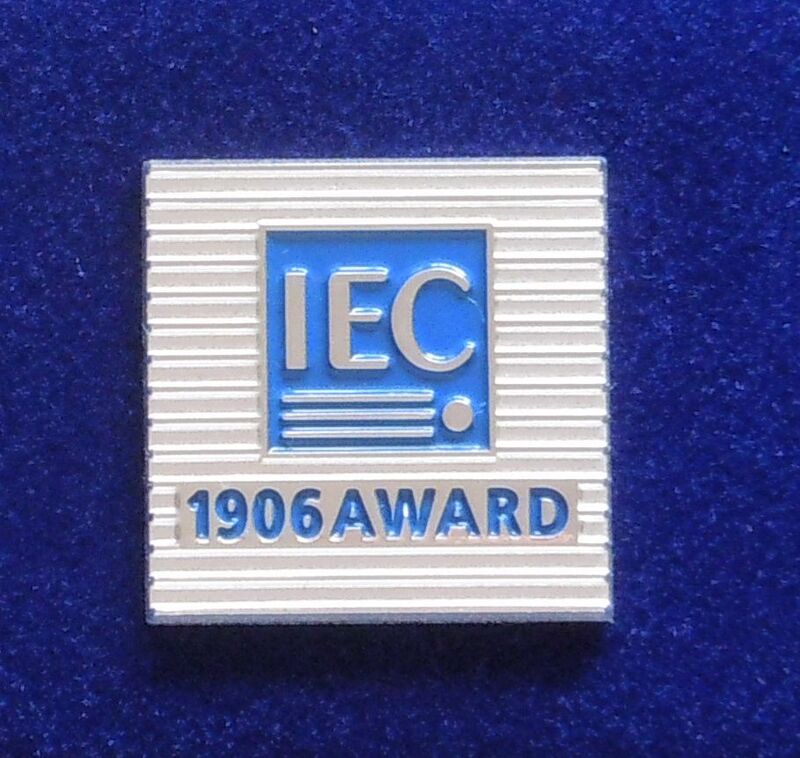 The IEC 1906 award was created to commemorate the founding of the International Electrotechnical Commission in 1906 and to honor those who have made an exceptional recent technical contribution to the development of a specific IEC project. Halliday was given the award as an expert of ISO/IEC JTC 1, "In recognition of his dedication and guidance which has been pivotal in developing and publishing international air interface protocol standards for both active and passive radio frequency identification (RFID). Particularly noteworthy was his effort and success in working with other Standards Development Bodies to achieve a single ISO/IEC standard that meets user/market requirements." "It is an honor to be nominated and receive this award" said Steve Halliday, president of High Tech Aid. "The technology that makes RFID a reality is just beginning to touch our lives and I am proud to be a part of the work in creating the standards from the beginning." Halliday has been involved in the standards world for over 30 years and is currently the chair of the ISO/IEC committee responsible for air interface standards for RFID. He is also secretary for the committee working on security for RFID systems and the vice chair of the United States Technical Advisory Group on Automatic Identification and Data Capture techniques. Halliday is a member of many ISO (International Standards organization), ISO/IEC and ANSI (American National Standards Institute) committees associated with AIDC technologies such as RFID, barcode, and Real Time Locating Systems. Halliday is president and owner of High Tech Aid and co-founder/owner of RFIDTraxx LLC. High Tech Aid is a consulting company providing services in the areas of education, training, and standards for the AIDC industry. High Tech Aid is based in Pittsburgh, PA area but has clients all over the world. RFIDTraxx LLC provides AIDC based solutions for asset tracking. Halliday has been involved in Automatic Identification and Data Capture technologies for over 30 years. He is the 2010 winner of the Richard R Dilling award for outstanding contributions that have furthered the growth of the AIDC industry.